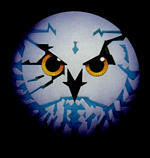 A collection of historical or descriptive files about the company Psygnosis itself. I welcome others to add any writing they want to; we're looking for positive and negative, fawning and spiteful. The important thing is to get it all out. There are 3 files for a total of 12,068 bytes.